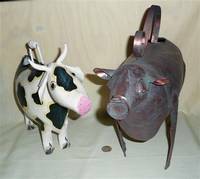 There’s not much to say about these cows, except that they do meet my ‘basic’ criterion of a hole to put the fluid in, and one (or more in this case) to pour it out. Pretty much a stretch for a collection of ‘cow creamers’ I realize, but they’re sort of cute, as well as useful. 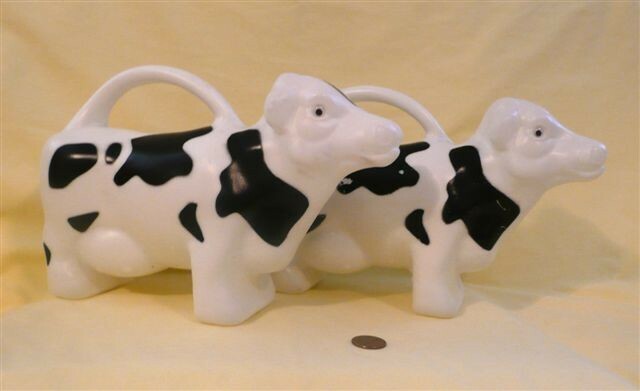 Two from Texas for 99 cents ! 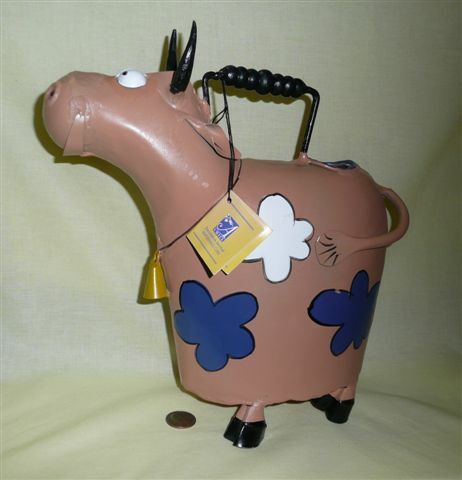 Such a deal. Guess I shouldn’t be too surprised that I was the only bidder on their eBay auction. 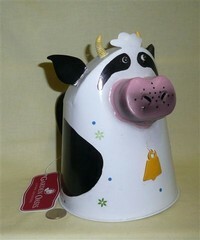 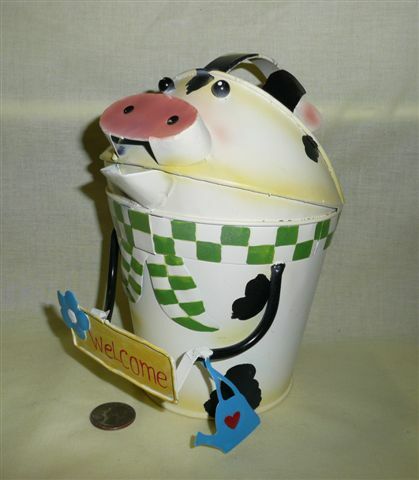 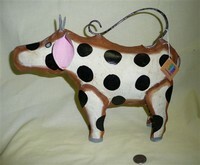 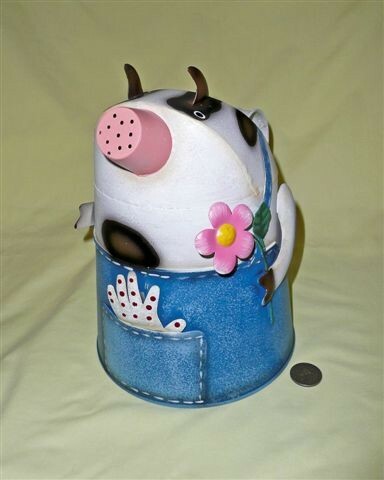 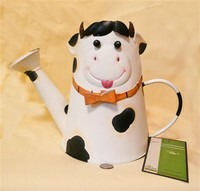 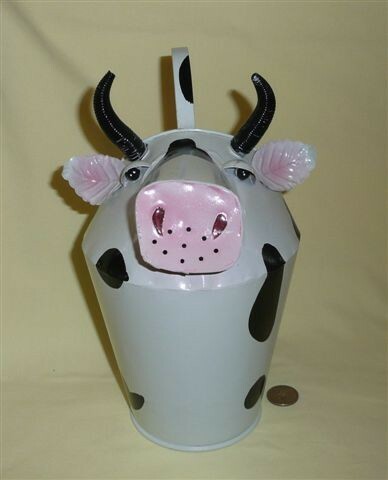 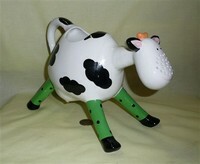 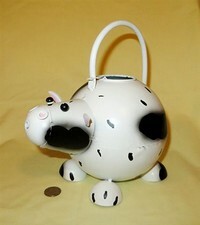 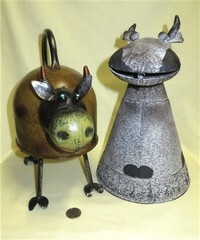 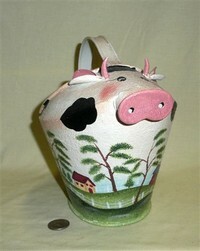 OutDoozie, Inc, Rustic Cow Watering Can Natural, Made in China.